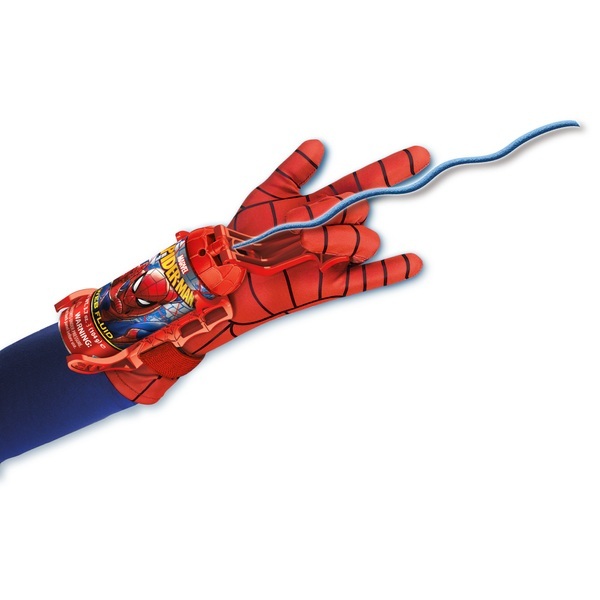 With the Spider-Man Super Web Slinger, kids are ready to sling webs like Spider-Man! Load the included can of Spidey Shot web fluid and get ready for some web-blasting action! Kids will discover that web- slinging is not just a great way to imagine fighting crime; it's also a great way to have fun! With the Spider-Man Super Web Slinger, it's time to blast bad guys or just have a blast with Spider-Man gear!